Our classic BarreAmped class is an extreme fitness method founded on the technique of dance, the mind/body aspect of yoga, and the precision and core integration of Pilates. BarreAmped produces lengthening and chiseling results fast using small isolated holds with tiny movements and tremendous mental connection. Expect an extreme challenge and prepare to leave feeling calmly energized with this hands-on group training session. Our Advanced class follows the same format as our BarreAmped class, however BarreAmped Advanced will challenge you with longer holds, deeper positions, quicker transitions, & more advanced moves. A minimum of at least 10 BarreAmped classes is recommended before entering this class. This is a hands-on group training session. BarreAmped Bootcamp uses the classic foundation of BarreAmped combined with cardio intervals. This program relies on high intensity interval training, which has been proven to burn fat faster than sustained endurance training, making it suitable for ALL fitness levels. BarreAmped Bootcamp will shake up your workout! This class is a fun & effective way to burn fat, lose weight, and change your body. This is a hands-on group training session. Rev up your metabolism, torch calories & burn serious fat with this Tabata style boot camp class which combines classic BarreAmped exercises with short bursts of cardio; 20 seconds on, 10 seconds off for 4 minutes. As we say in class, “You can do anything for 20 seconds!” This class works every muscle & you will leave feeling worked and refreshed. Please bring water …you will sweat! This is a hands-on group training session. BarreAmped Power relies on the client’s proven technique, flexibility, & strength. It includes full range of motion moves, quick transitions, elements of cardio, and advanced dynamic stretching. Prepare to Shake and Shake to Change! A minimum of at least 3 BarreAmped classes is recommended before entering this class. It is not required that you be at an advanced level to enter this class but you will want to be somewhat familiar with the BarreAmped method. 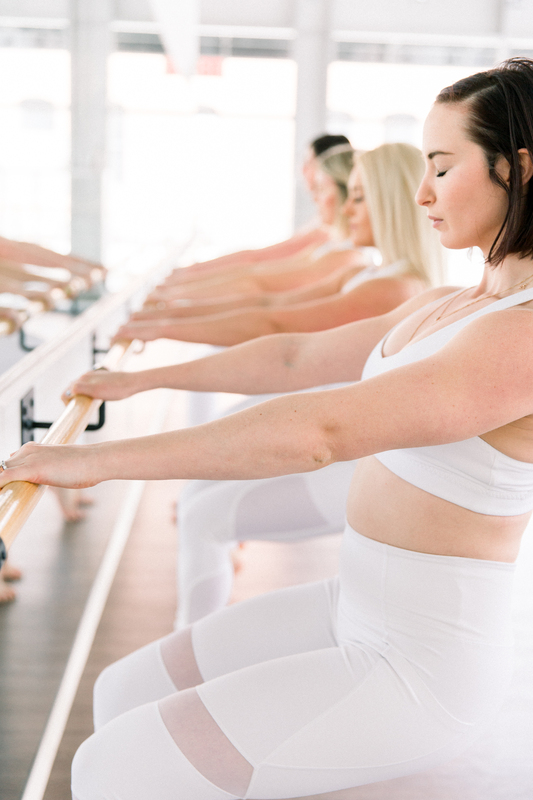 This is our most favorite class among barre enthusiasts! A must try class! This is a hands-on group training session. We are proud to be the first Studio in Pittsburgh to offer Rebound Fitness classes! Our Trampoline Fitness class offers a high adrenaline, low impact and fun workout. You will be challenging your mind and body. Our Bounce Cardio class incorporates trampoline cardio to upbeat music to strategically work the body while balancing and strengthening your core throughout. The sequences are created to engage your mind and challenge your body. Bring water and have fun! All of our classes are hands-on group training session.